Northern hemisphere winter arrived this morning at 4:48 UT. For an imperceptible moment -23.5 degrees on the celestial sphere heralded our shortest day, longest night. 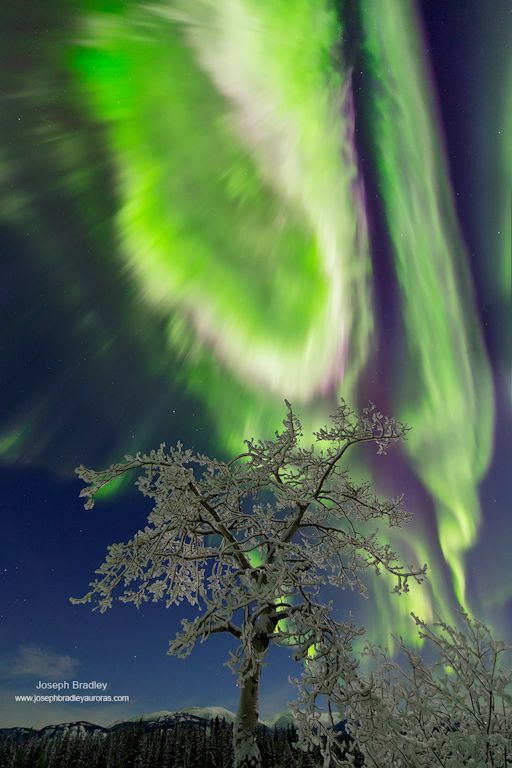 Oblivious to the sun reaching its southernmost declination, far north chortled in approval to the sorcery of aurora’s incantation. Oliver Nagy made this cool image between the June and December solstices in 2014. 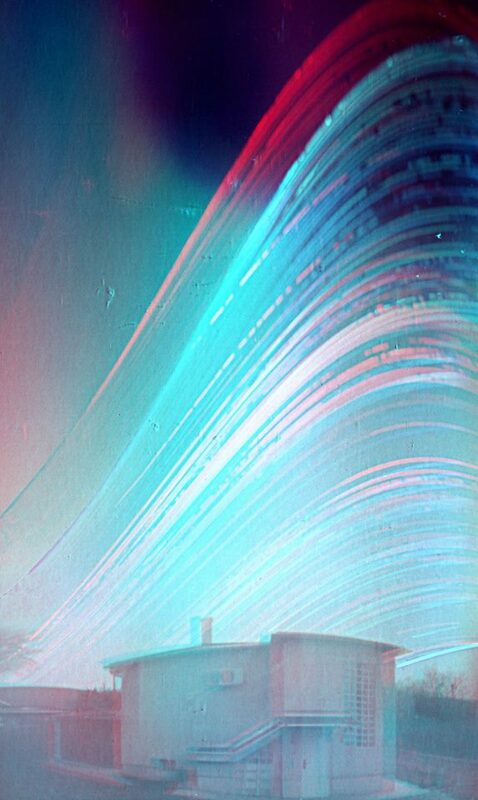 The camera was fixed to a single spot for the entire exposure time, and it continuously recorded the sun’s path as glowing trail s across the sky. The breaks and gaps between the lines are caused by clouds. This image shows the shifting path of the sun over the months between a June and December solstice. As seen from the Northern Hemisphere, the sun’s path gets lower each day.